In this Saturday kick-off game, Roma are hosting SPAL at the Stadio Olimpico in Rome. This will be the first match of Round 9 of this years Serie A. Roma are sitting in 6th place now, level on points with the 5th placed Sampdoria. 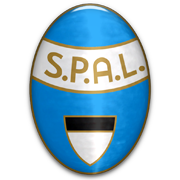 SPAL are languishing in the 14th place. They have lost the last four games in the Scudetto and in fact, five of the last six. And after it all started so well for them, winning the two opening games of the season. Roma have started the season OK but then lost it for a little bit recording two defeats and two draws in Serie A and one defeat in Champions League against Real Madrid. The loss to Bologna seemed to be a turning point for them as they have won four games in a row since and are not looking to stop that run against SPAL. We predict a high scoring home win.